attracted many people from abroad, who have formed many communities. 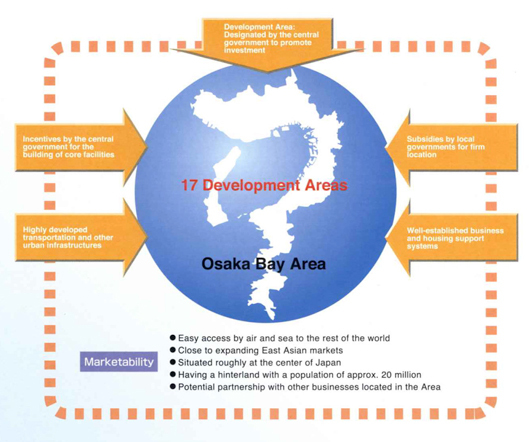 Osaka Bay Area and experience its vigorous economic and cultural exchange activities. 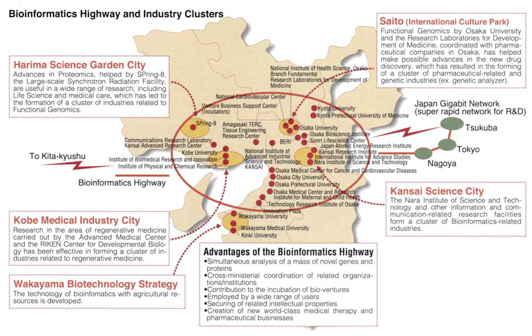 the Kansai region, Japan's second largest metropolitan area after Tokyo. provide easy access from the area to the rest of the country. a hub of the nation's economic activities. suitable for a globalized urban area and a comfortable residential environment. treasures and cultural properties, making the Area very distinctive in the world. this region we are so proud of. foreign companies and promotion of investment. core facilities contributing to regional development. business location can be granted by local governments. have been established by local governments. 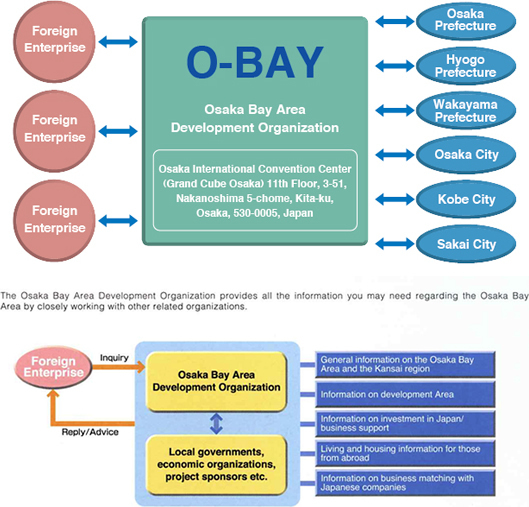 The Osaka Bay Area welcomes foreign investment and enterprises. regional information by contacting local government department on your behalf. Your inquires are most welcome.